Flower Deck Design. 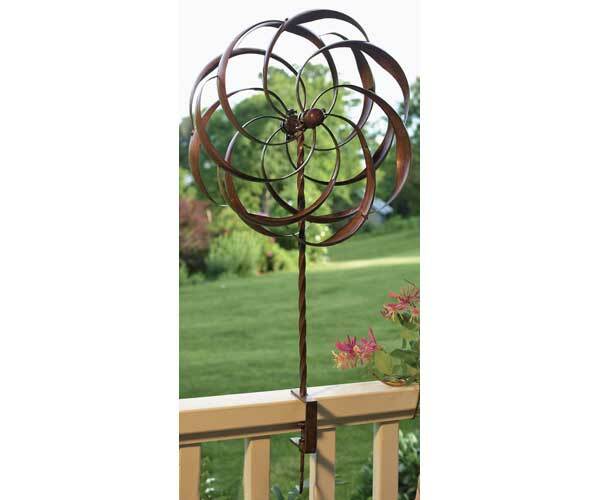 Pinwheel Large Twisted Stake. Kinetic pinwheel moves in gentle wind. A wonderful art piece for any garden or yard whether it is in motion or not. KD handcrafted. This model easily attaches to deck or railing.